The Werewolf of Chevron was gone when we got up. I thought I heard him moving about, so I stayed in my tent, but it turns out that I was hearing Joe. 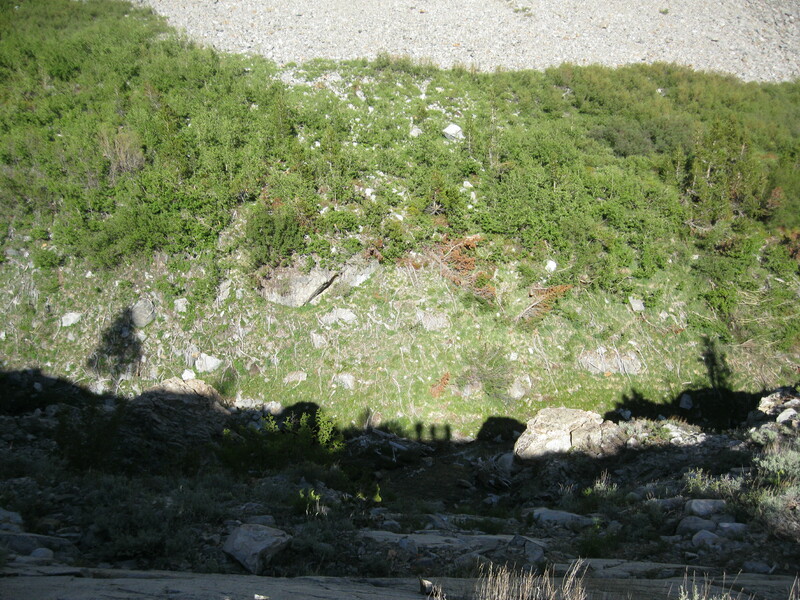 After completing our morning routines, we began the day’s 2,000 foot ascent. 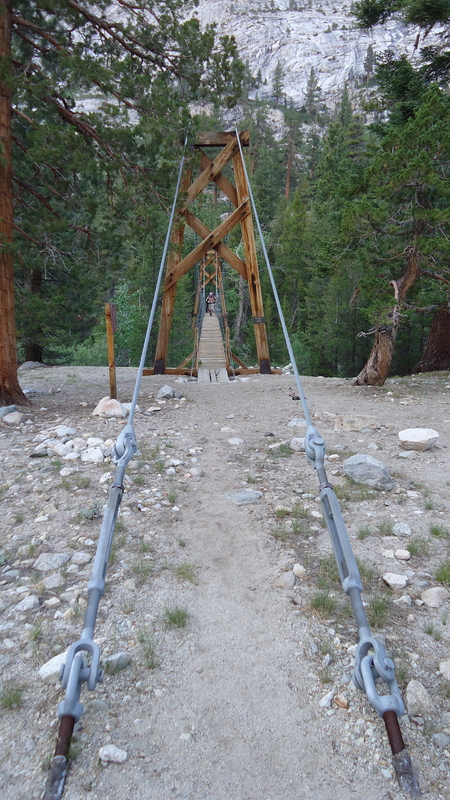 It was a nice climb, spread over about 4 miles and through a few different kinds of terrain. In the morning, we were still in the woods near the Kings River. 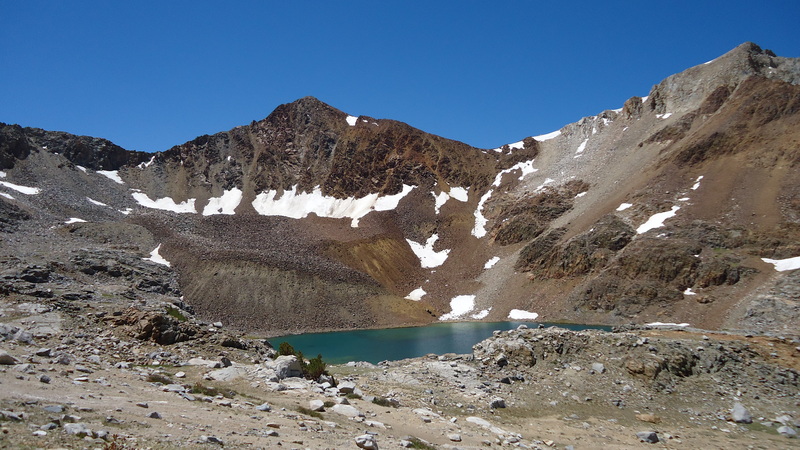 We climbed into a grassy pocket valley, and found some lovely clear lakes near Pinchot Pass. The views from the Pass were nice. You could not see the trail ahead quite as clearly as from Mather Pass, but still some beautiful panoramic scenes of high alpine peaks. At some point during the day, we met a father/daughter team out for a few days together. The girl was a young teenager and they had been doing hiking trips together for years. We were excited for them both to choose to spend time together and out in these glorious mountains. The descent was smooth and afforded some nice views. Mostly I enjoyed the walk, again passing through differing terrains, listening to the creeks the trail paralleled for much of the day, and filling my head with joyful nothing. Near sunset we came to the famous suspension bridge and our second “big crowd” of the trip. There were 6 or 7 groups setup at campsites near the bridge and more came in as night fell. We found a spot for ourselves and scouted about a bit locating a spot for the father/daughter team that we knew would be rolling in soon. They were grateful for the advance scouting and we even remembered to warn them to be prepared since tomorrow would be the infamous “Naked Hiker Day”! We were all tired and it was starting to get cold again, so we quickly made camp, did our chores and got into our bags for the night.